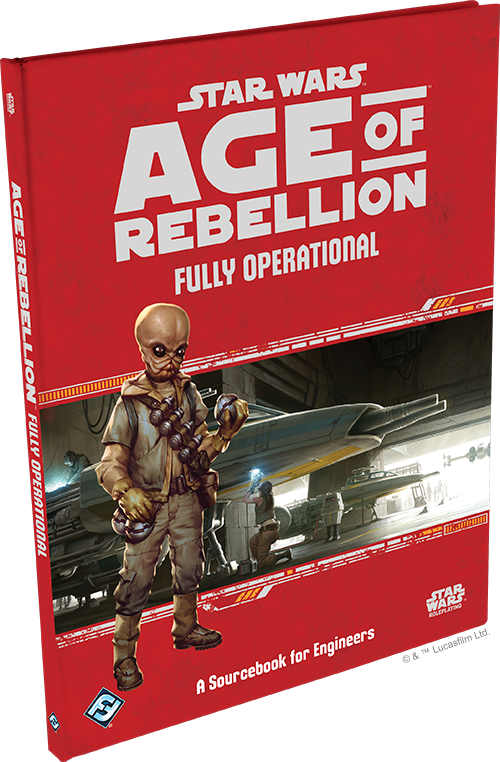 Fully Operational, the new Engineer sourcebook for Age of Rebellion, is on sale now at your local retailer and Fantasy Flight Games! Design. Build. Repair. Destroy. The struggle against the Empire isn’t only for those who carry the biggest blasters or fly the fastest starfighters. No war can be carried on without the tools to wage it, and Engineers serve the Rebellion and their comrades by designing, building, and maintaining all the equipment necessary to end the Empire’s reign of terror in the galaxy. Weapons, droids, vehicles, and gear of all varieties are more than just plasteel and bolts; they represent the will of the free people of the galaxy made corporeal in defiance of the Emperor.